They say beauty is in the eye of the beholder. How narrow. Beauty is the mysterious, seductive scent of exotic florals in your nose, the pressure of oiled fingertips against your skin and the serendipitous realization you can hear your own heartbeat. It is an experience—a connection to yourself and the world around you, a symphony of the senses and a harmony of what is it to be human. Intrigued? Then you have come to the right place. In the world of Cūrata, beauty is not about looking good, but feeling and doing good. It began with Serena Rogers, an entrepreneur and expert in experiences, having shaped preeminent spas around the globe. Her vision was—and is—to improve the lives of women and the environment they live in. That mission brought Cūrata to sustainable luxury: a harmony of the little details and the big picture. Uncompromising quality and opulence that never compromises on our ethics. A marriage of botanical perfumery and clean beauty, we aim to have the most impact on your life while having the least impact on our surroundings. The Cūrata woman travels the four corners of the Earth, and fiercely believes they deserve our protection. Whether she is sipping an espresso along a sunlit piazza in Venice, hiking through the rainforests of Borneo, raising a family or running a business in the concrete jungle, she knows our planet is a privilege. She is elegant. She is elemental. She is stunning and stylish, but it is her strength that attracts others to her. She knows everyone and everything, and she is always ahead of trends—not that she subscribes to them. While many may associate her with her creature comforts, these pale in comparison to her convictions. You know her because you are her. And so are we. That is why Cūrata is not a one-off collection. We are leading an emerging culture where our value is in our values. 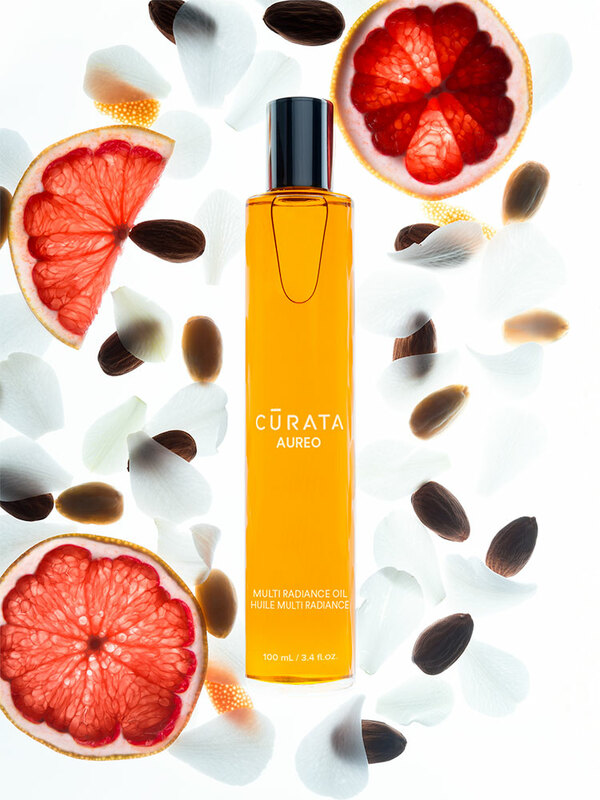 The name Cūrata has its roots somewhere between ancient Latin and modern Italian, meaning to heal and restore. We see it as more than a moniker: it is a cult favourite, a cure and a compass guiding our journey to self-care—and self-indulgence. The greatest pleasures are the simplest, which is why we are launching with only two products: Dulceo, a delicious and complex botanical perfume extract, and Aureo, a sensual, warming mutli-radiance oil. Both were developed at the intersection of scent and science with our botanical perfumer, Beckie Sheloske. They are biodegradable, non-toxic and cruelty-free. Like the women who love them, each Cūrata product is powerful enough to work on its own or in harmony. Experiencing them should be the antithesis to monotony and routine. Cūrata is a step back from the hustle and bustle. A decadent daily ritual you give yourself, performed and punctuated with warmth, softness and strength. Too often we are made to feel self-conscious about taking time for ourselves—for being happy. Frankly, life is too short. Cūrata is not a vice, it is a victory. A stolen moment in private; a dab of deliciousness massaged into skin; a long, deep breath breaking silence. Whether it is Aureo before bed or a little Dulceo to lift your spirits during the day, we designed our line to empower you with elegance—ethically. Sustainable luxury is neither a PR move nor a green gimmick. It is pleasure, sans ‘guilty’. To us, it has been a journey—one that is more walk the walk than talk the talk. From day one, we have managed the entire research, development and production process end to end. We thoughtfully source ingredients that are effective and ethical. We hand blend and manufacture small batches in Montréal to ensure our products are aligned with purpose, passion and perfection. Our promise to you is Cūrata will always be authentic, never synthetic. We have formulated, reformulated and re-re-reformulated because we refuse to compromise on what is important to us: fabulous cruelty-free and non-toxic products. Our formulas are entirely unique and not based on prefabricated recipes. All of our suppliers have been vetted multiple times over to ensure they comply with our standards. We do it because it is important to us—and we know it is important to you too. We have the certifications to back us up, including The MADE SAFE™ seal signalling our products contain only safe ingredients. That means nothing suspected to harm human health, other creatures or the ecosystems we share. We also worked with PETA’s Beauty Without Bunnies program to show none of our products are tested on animals. We’ve taken it even further by ensuring that each individual ingredient is certified cruelty-free. This is just the beginning of the Cūrata story. To discover why our value is in our values, read about why we see sustainable luxury is the future of beauty in our next chapter.